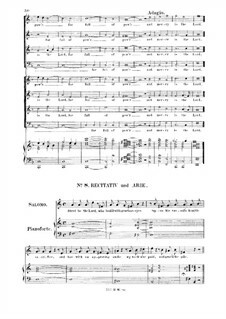 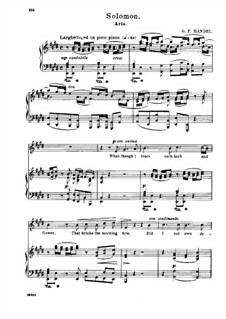 "Arrival of The Queen of Sheba", from Act 3 of Handel's oratorio, "Solomon". 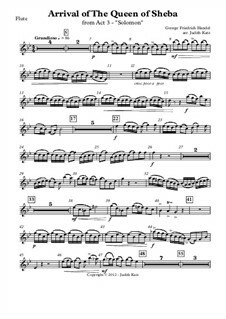 This has been arranged for a Level 4 woodwind quintet, ideal for a wedding processional, or concert performance. 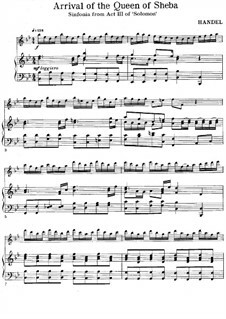 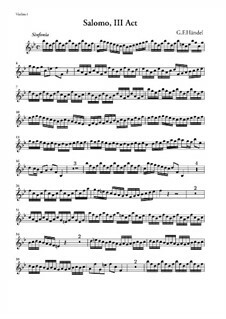 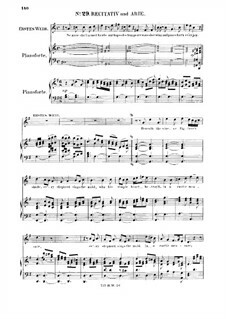 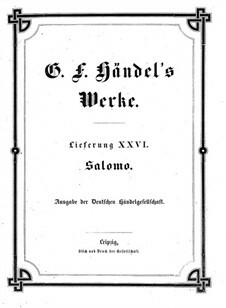 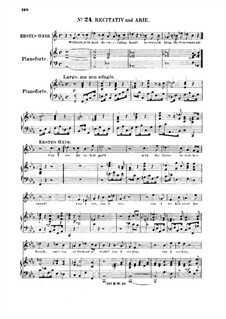 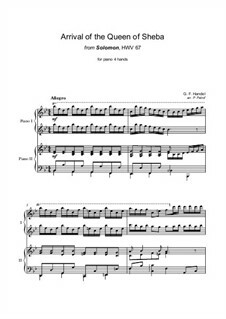 A woodwind quintet arrangement of the introduction to Act 3 of Handel's Oratorio, "Solomon". 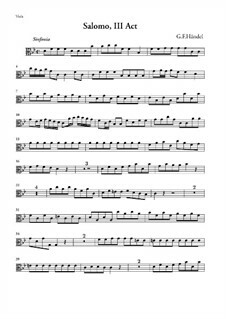 This has been arranged for a Level 4 ensemble. 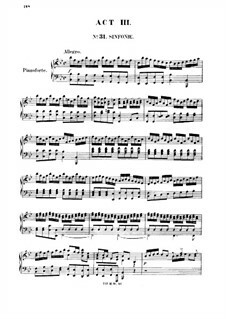 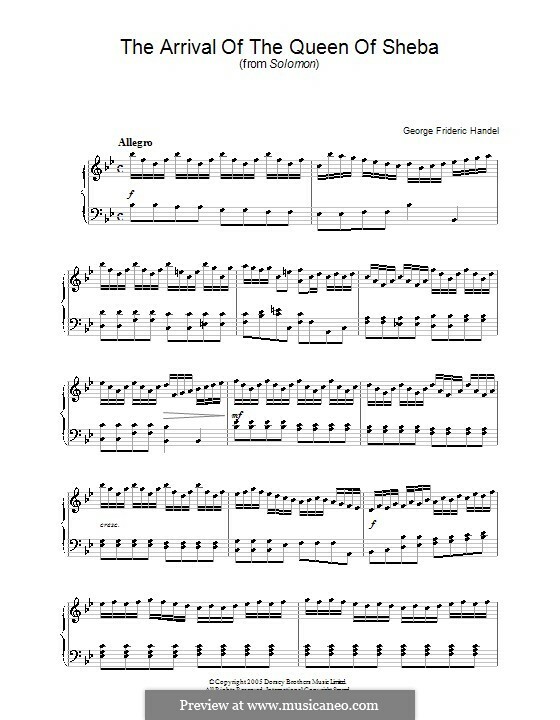 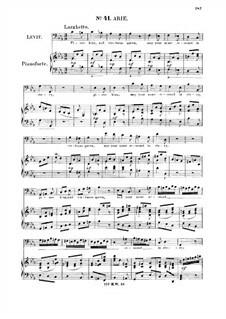 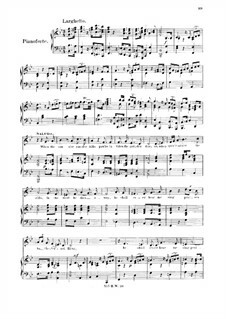 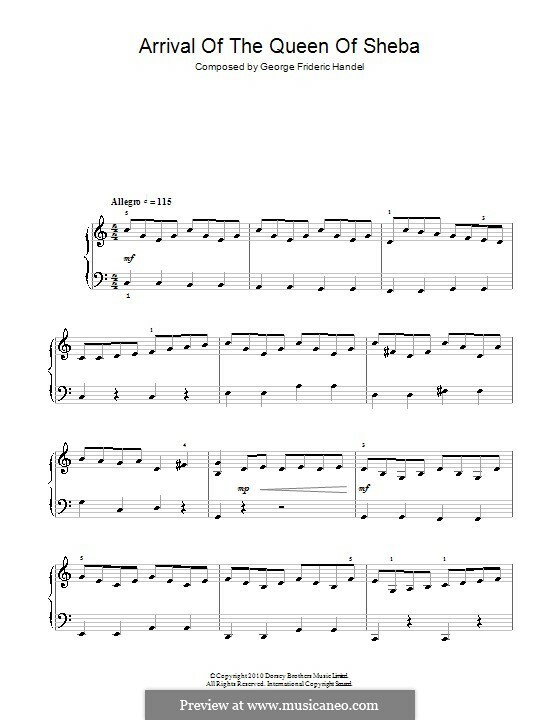 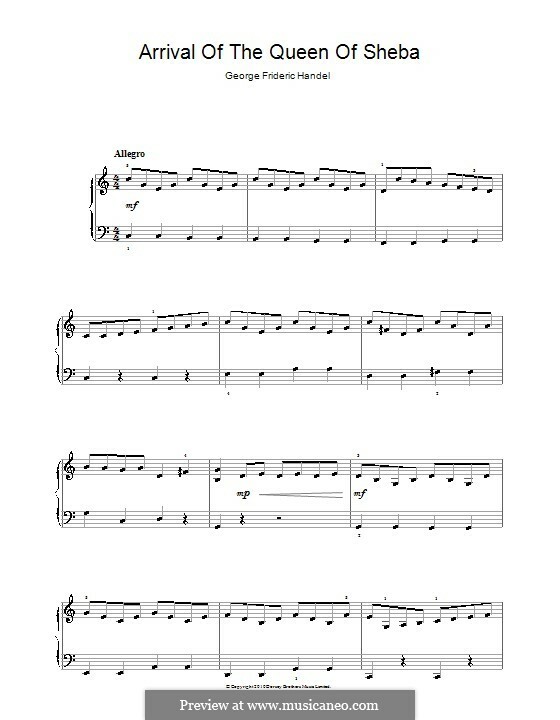 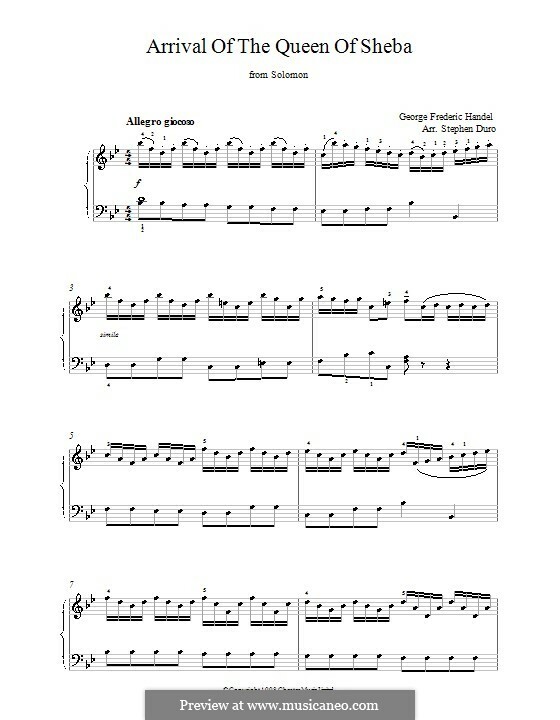 This is ideal for special intro music, or concert recital. 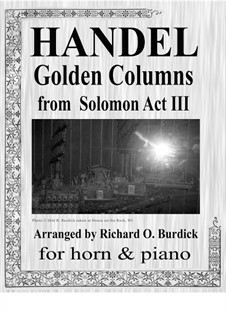 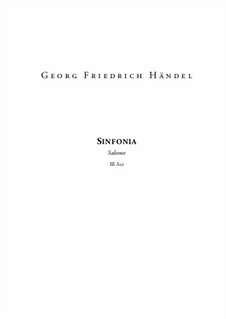 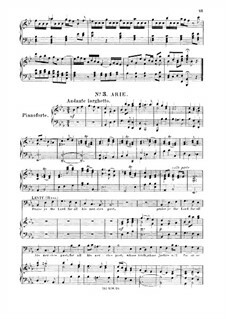 A beautiful aria from near the end of Handel's Solomon, arranged for horn and piano. 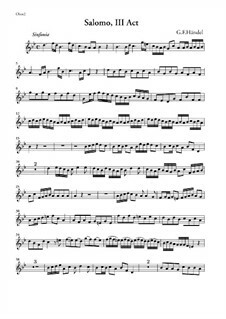 A terrific show-piece of the high french horn. 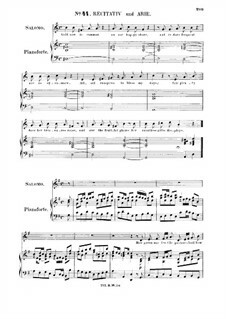 Full score Arranged by Chrysander F.
The Arrival of the Queen of Sheba, for six flutes, H005 Arranged by Orriss M.
The Arrival of the Queen of Sheba, for woodwind quintet Arranged by Katz J. 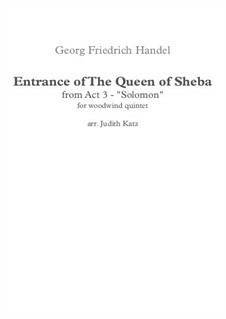 The Arrival of the Queen of Sheba, for woodwind quintet - parts Arranged by Katz J. 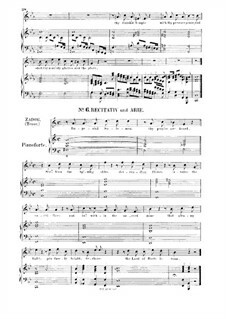 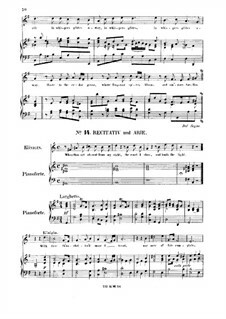 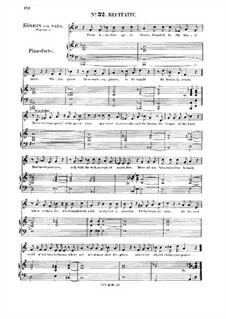 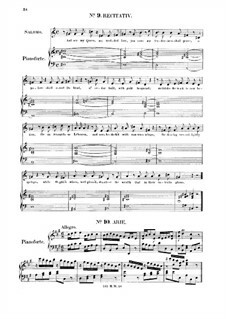 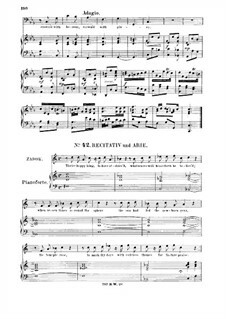 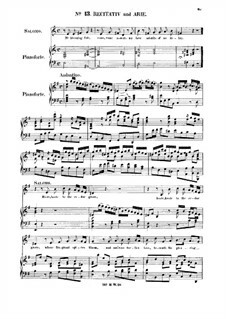 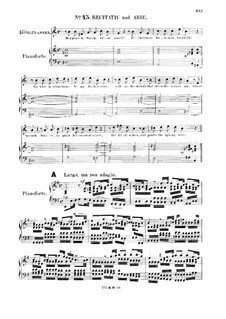 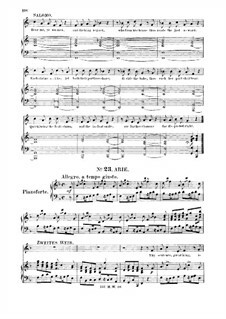 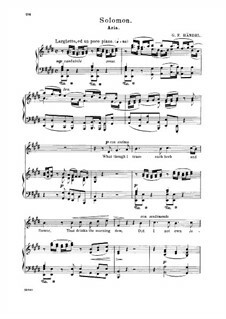 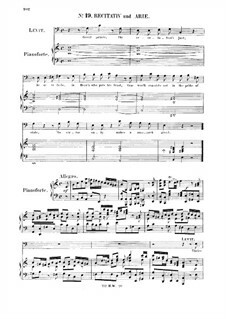 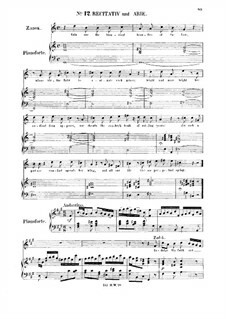 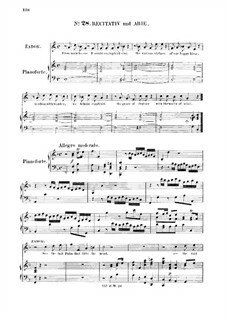 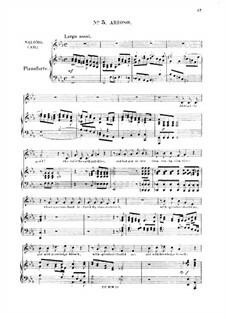 The Arrival of the Queen of Sheba, for piano four hands Arranged by Petrof P.
The Arrival of the Queen of Sheba, for piano Arranged by Duro S.
Golden Columns Arranged by Burdick R.